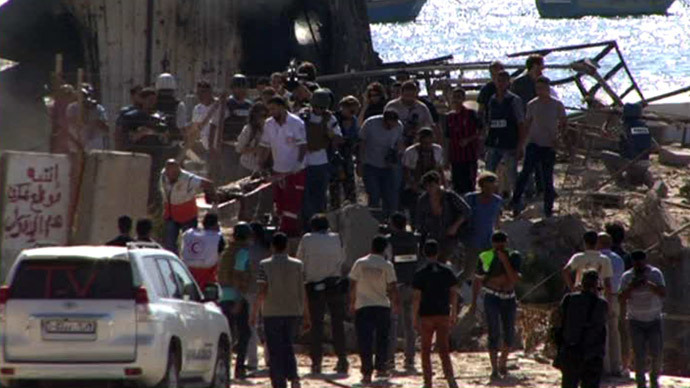 ​Four Palestinian children were killed by an air strike while playing football on Gaza beach. Dozens of international journalists witnessed the tragedy. 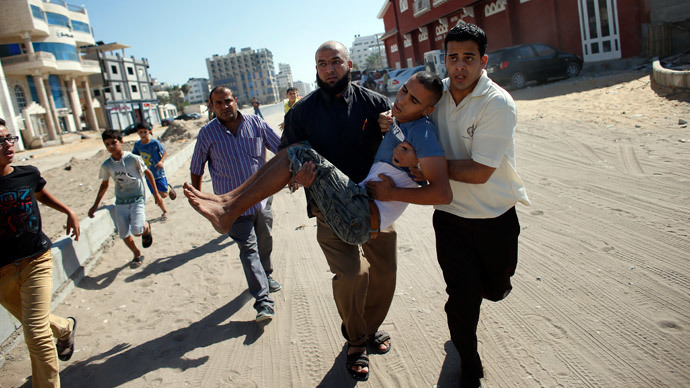 "This is a cowardly crime," said Ashraf al-Qidra, spokesman for the Gaza Health Ministry. The children have been named as Ahed Atef Bakr and Zakaria Ahed Bakr, both aged 10, Mohamed Ramez Bakr, 11, and Ismael Mohamed Bakr, 9. All those killed were relatives, while another boy is in hospital in critical condition. "The kids were playing football on the beach," Ahmed Abu Hassera, who witnessed the explosions, told Reuters. "When the first shell hit the land, they ran away but another shell hit them all. It looked as if the shells were chasing them." “We live by the coast. There was a headline on the news that four children were injured ... so we went looking for the kids and we could not find them, so we came here to the hospital to look for them and we found them all, including my son ... oh my God,” a man who introduced himself as the father of Zakaria, told NBC. The Israeli Defense Forces have denied targeting the children, who came from the family of a fisherman whose shack on the beach was decimated by the strike. “We do not target civilians, we target Hamas terrorists,” IDF representative Peter Lerner told RT. 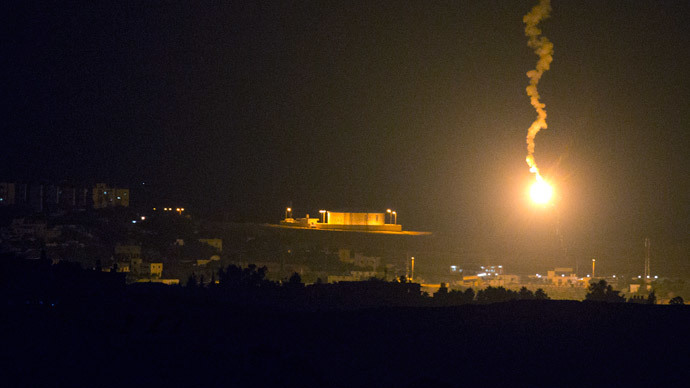 Although it was initially thought that the mortars came from a gunboat, senior IDF officials have told Israel's Haaretz newspaper that the shells came from Israeli planes, hunting down Hamas militants. The total number of Palestinians killed by the Israeli counter-offensive, which began last week, now stands at 220, according to Gaza's emergency services. The first Israeli died as a result of a Hamas mortar on Tuesday. 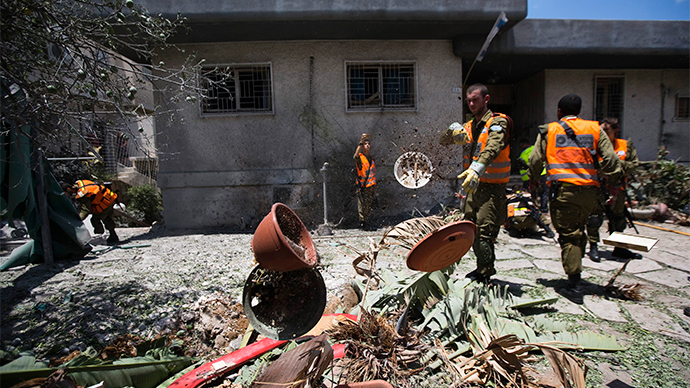 Israeli forces, which claim that Hamas is using civilians as human shields, have been dropping leaflets in the area, as well as making automated phone calls to houses of local Palestinians urging them to evacuate. "Whoever disregards these instructions and fails to evacuate immediately, endangers their own lives, as well as those of their families," its message said. Human Rights Watch has condemned Israel's Operation Protective Edge, and its chief, Ken Roth, has said that the warnings function as a waiver for atrocities. 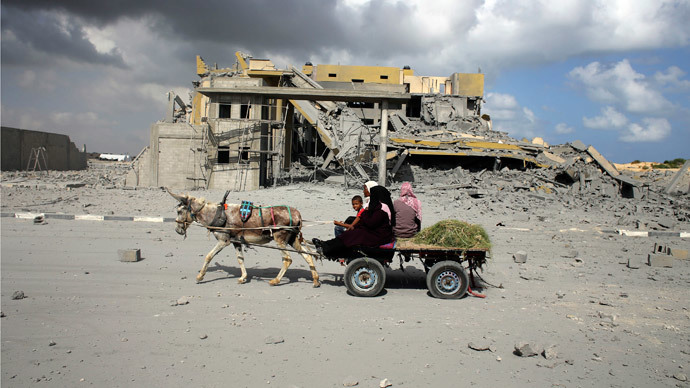 In any case, most Gaza residents have nowhere to go, or have preferred to stay in their homes, as a show of defiance. This has meant that despite Israel’s avowed policy of avoiding civilian casualties, according to the UN, up to 80 percent of the fatalities during the bombing have been non-combatants. The international body has also said that one in every five Palestinians killed is a child. Earlier on Wednesday, a mooted ceasefire between Israel and Hamas collapsed, after the Palestinian movement rejected Egypt as the mediator. 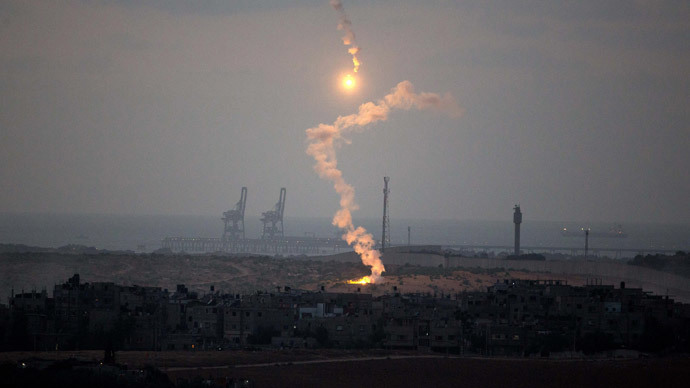 Israel began a major counter-offensive on Gaza early on Tuesday following the launch of over 85 rockets at southern Israel on July 7.